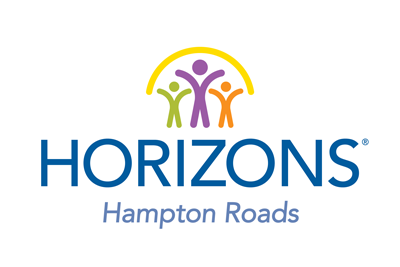 Horizons Hampton Roads is about inspiring young minds through proven summer enrichment programs where low-income children are challenged academically, socially and physically to meet with greater successes in school and in life. Horizons’ award-winning program has been proven to reverse summer learning loss for low-income children, instill confidence, and improve reading and math skills. This project based instruction model encompasses a six-week program that integrates a profound blend of academics and enrichment. Our staff of certified teachers and reading specialists test each student before and after their participation in the program, demonstrating that, on average, students gain two to three months in reading and math skills each summer. Through Horizons, public and private schools create enduring partnerships unique to our community. Horizons brings together all members of the community, leveraging local resources to create a safe learning environment where low-income public school students can fulfill their potential. At Horizons, we believe that it’s important to start early, so our programs provide academic support beginning with Kindergarteners. Our goal is to keep students through eighth grade, giving us nine consecutive summers to make a difference in their lives. Our high retention rate of over 80% showcases the students’ love for the program, adding to overall success. Through six weeks of summer learning, Horizons transforms lives by enriching the mind with knowledge, the spirit with confidence, and the imagination with possibility. We create a learning community at Horizons. Our teachers and staff stay with the program for an average of 6 years – many for decades. The Horizons learning community becomes a bridge connecting public and private school educators, parents, and students. Beyond academic improvement and preparing students for high school, Horizons goes the extra step, introducing students to experiences and life opportunities not otherwise encountered in the impoverished public school settings. 100% of Horizons students learn to swim, and life skills are taught through a myriad of ways, including chess strategy, sailing, and college campus visits. See what we accomplished each year!